Lets raise awareness, raise funds and have a great evening together. 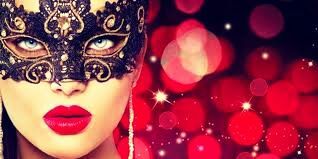 A Masquerade Ball is a no brainer! We’re all very excited to bring the world famous Dueling Pianos to the Lakeland to help raise awareness and funds for both BONNYVILLE and COLD LAKE hospitals, with help from a local charity and a Canada wide charity! “Colorectal Cancer Canada” are joining forces with the 3 Amigos Entertainment to bring a night of amazing masquerade costumes, singing, dancing, dinner, silent auctions and as always a 50/50. The funds will go to both hospitals to help with purchasing and maintaining equipment needed for early colon cancer detection in the Lakeland. There are no bad seats in the room! The dueling pianos will be in the Center of the room for all to enjoy. Masquerade costume - ALL YOU!